Thank you to everyone who attended our AGM. It was great to hear what a successful year we have had! 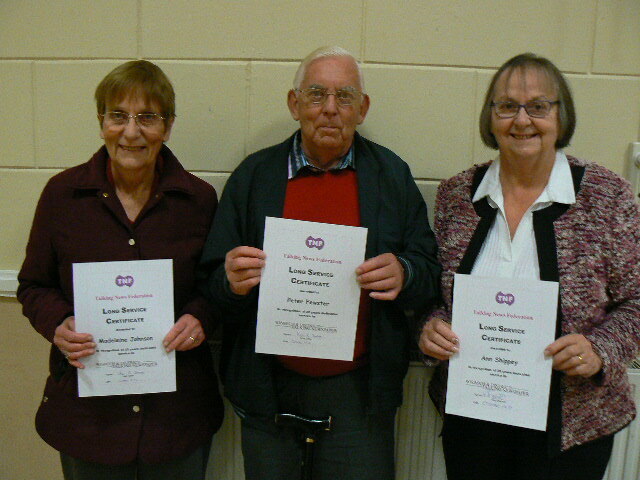 We finished by presenting some long service certificates – Ann for 25 years and Madeleine and Peter for 20 years. Well done folks! Thanks for your dedication to our cause!